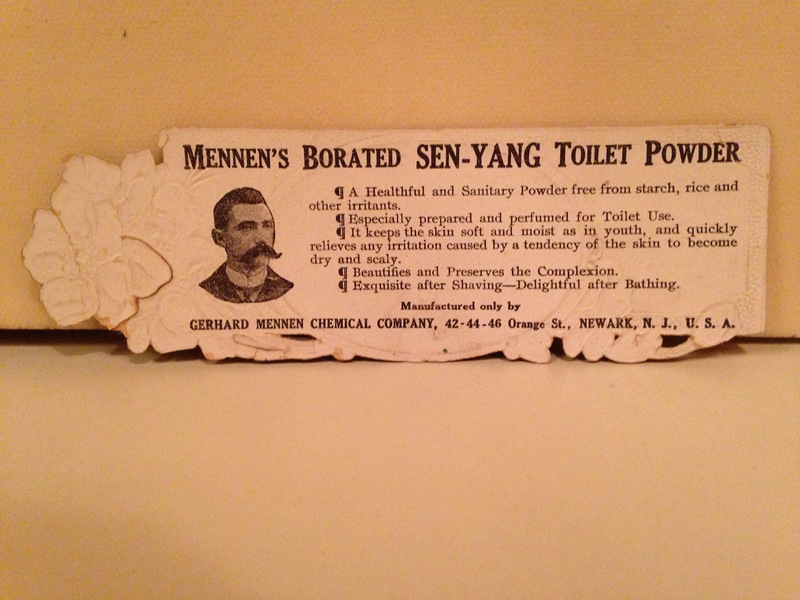 The history and origins of the Mennen Company were discussed in a previous blog. These bookmarks which I recently acquired show how an item as commonplace as a bookmark could be a thing of beauty. 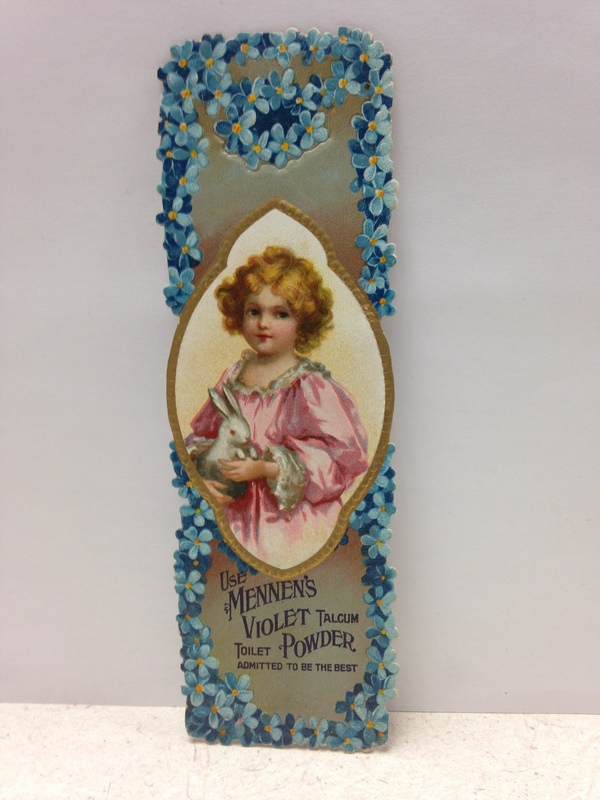 And while these bookmarks were beautiful ,at heart, they still were still advertising for Mennen’s Talc. One has only to turn the bookmark over to receive the plug for the product. However, it is equally true that one need not look at the back and can just enjoy the artistic image on the front. 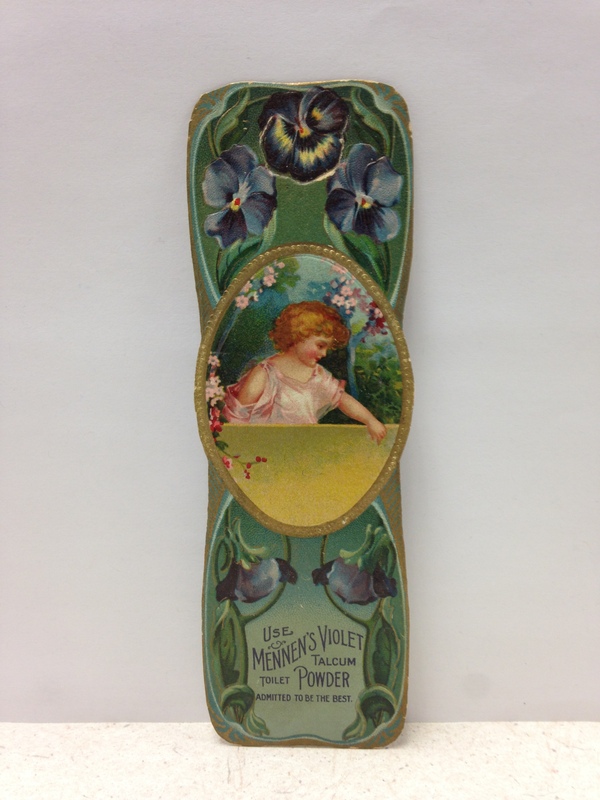 That these bookmarks survived over 100 years clearly shows that someone valued their beauty. Believe me when I tell you, they are as fragile as they look. 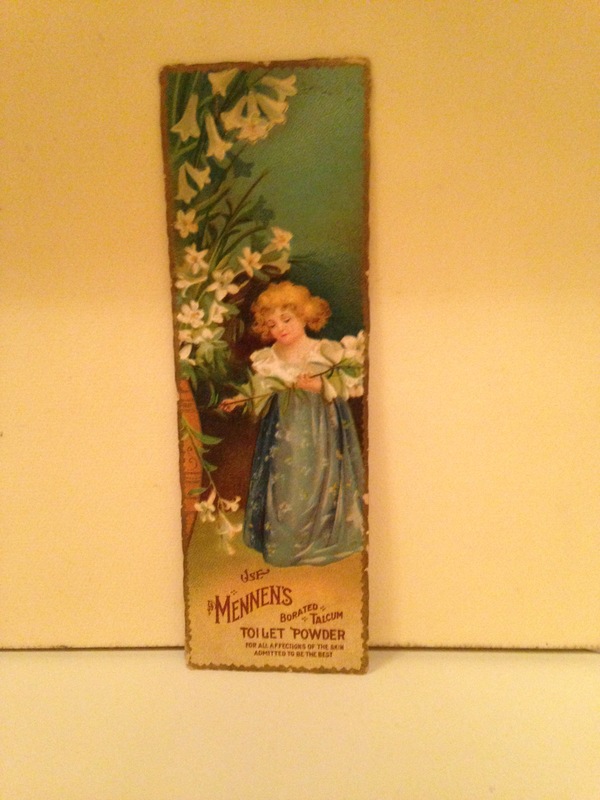 Only one bookmark in the collection showed Mennen’s address. That one is displayed last.